Michigan's public sector is not congenial to ethics, according to a recent grading by the Center for Public Integrity. Michigan earned an "F" and a numerical ranking of 43rd (with No. 1 being least corrupt) in the nationwide CPI study. "The analysis of 330 indicators of state accountability measures shows that this state of almost 9.9 million residents has major flaws in tracking money spent to elect officials and shape policy. The set of laws regulating campaign spending, lobbyist activity, and financial disclosure guarantee essentially says to the public: Mind your own business," stated the CPI report. Bridge: What's the single worst deficit you see on the ethics front? A: I think disclosure would be a key reform, in that from full disclosure a variety of other (positive) things would flow. ... I think redistricting is terrible, but I don't see any way to change it, so I wouldn't put any energy into it. New Jersey is on the top of the list (for ethics rules). If New Jersey, and California and Washington can do it, Michigan can. Michigan could copy their statutes and be way ahead. All that said, I don't think it's a hotbed of corruption. Bridge: Michigan received "F's" for accountability of all three branches of government. Our state constitution is not yet 50 years old. Do you agree with these harsh ratings? If so, is this evidence of a structural failure within the 1963 Constitution? Disclosure and clear expectations on conflicts of interest ... those are needed. It's a real strike against Michigan that other states comparable to us do a helluva lot better on this. That cannot be lost on the Legislature, when (the National Conference of State Legislatures) posts stuff (in which) we look bad and they have best practices (we could adopt). I think there's been an active, conscious decision not to pursue (reform). That's wrong. (Legislators) are not serving the public. They are making their lives easier. Bridge: What's the most powerful force that affects public ethics? A: I think things making it on the front page of papers leads to reforms that matter, and stick. Wayne county's working on ethics ordinances right now. I think those kinds of things spur people to action. (The politicians) need some public confidence back and need their careers extended. Bridge: Much of the worst ratings in various categories had to do with Michigan's lack of financial disclosure rules for public officials. Why do you think Michigan has chosen not to adopt such standards? Is this, in a way, a back-handed compliment, with disclosure laws being a solution to a problem Michigan has not suffered? 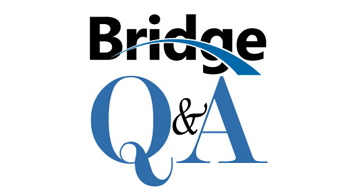 Bridge: Was there anything in the CPI grades that surprised you, or which you think is off-the-mark? A: I think the grade on ethics enforcement agencies. There's nothing for the Legislature, but there's pretty good stuff for the executive branch, (yet) they had them lumped together. I think the legislative branch does deserve (criticism). Bridge: What do you think is the biggest difference between how regular citizens view "conflicts of interest" and how elected officials view them? A: I think lots of both groups take “conflict of interest” to suggest someone has done or will do something wrong. Politicians, by their very nature, are going to know a lot of people who deal with government and some conflicts are inevitable. Most can be managed (disclosure helps get the process started, recusals manage many conflicts, and only occasionally would a conflict be such that it couldn’t be managed). In a legislature, in particular, no one is indispensable, so recusal doesn’t bring things to a halt. Bridge: In the 1970s, Michigan made itself a national leader on transparency with passage of the Open Meetings and Freedom of Information Acts. Yet, CPI gave Michigan a "D" for public access to information. Has our political culture changed greatly since the 1970s? A: I think our expectations and our suspicions have probably changed more. Deeply divisive partisan politics has fueled our suspicions in recent years. Where the rubber hits the road is whether journalists can get the information they need without excessive delays and hassle. You’d know that better than I would. Bridge: Is Michigan, as a general culture, more or less ethical than other parts of the U.S.? What about internationally? A: I think its better than average. We haven't had major scandals. I don't think there's a "pay to play" culture (in Lansing), but maybe I'm just naive. ... I trust the government, and I don't think ethics is the problem, though the Legislature doesn't function well. Bridge: As a voter and resident, how do you personally perceive the ethical performance of your state -- and local -- public officials? A: On the whole I think most are honest, hard-working, and not in it for the money. As a group, they ought to grow a spine and take steps to put in place rules and regulations that will give citizens confidence in them. Editor's note: Chris Andrews was the lead investigator for CPI in Michigan also is a contributor to Bridge Magazine. A point of clarification about the State Integrity Investigation ratings: They were rating the laws on the books in the states, not the incidence of corruption. Many people have commented on New Jersey's high rating in this study. They earned it by adopting new laws in the wake of previous scandals. The Michigan Legislature has simply ignored the need to update and expand regulations for campaign finance, personal financial disclosure, ethics and lobbying, and access to government records. Rich - hello and kudos to what you are doing! How can I find out more information on the list of financial contributions to our current legislators in connection with the Detroit Bridge debate? What are your impressions on this issue as relates to thelevel of ethics being displayed here? Rich, Thanks for the elaboration on CPI. MI politicians must have their unbridled power curtailed and they must be pulled back under the control of the people. The arrogance and power drunk excesses of the current crop of Repug politicians has shown this as never before. We are fast slipping to an autocratic fascist dictatorship. The Investigation looked at the laws and how effectively they were implemented in order to answer the question: "Do the systems in place serve or fail the goal of reducing corruption?" After all, if the conditions to catch corruption from the get-go simply aren't there, compiling a list of documented instances only goes so far. If you are interested, you can read about our methodology here: http://www.stateintegrity.org/methodology. We hope that you'll check out the results at http://www.stateintegrity.org/ Thanks for your interest! I thought the interchange was thoughtful and useful in getting both legislators and constituents to give consideration to issues of government ethics. This is the type of informative exchange I love about Bridge; thanks, Derek (and Mr. Chamberlain). An actual EXPERT with bonafide credentials (vs. what poorly passes for similar banter on broadcast media such as Fox & MSNBC, with their so-called propagandizing "experts"). This article came off more like a "Charlie Rose" exchange, which is most always highly informative in a deliberative questioning and answer format. Now, if only our PRESENT legislature would take up the call to enact some best practices, related to their OWN ethical performance -- they certainly have NO problem in doing the same with educators and other public employees. And, as if the whole Maroun/Ambassador Bridge agenda/antics haven't provided enough of a high-profile anecdotal example for better legislative branch disclosure laws, I don't know what will (as Rex's prior posting referenced). No wonder our state electorate is disheartened!